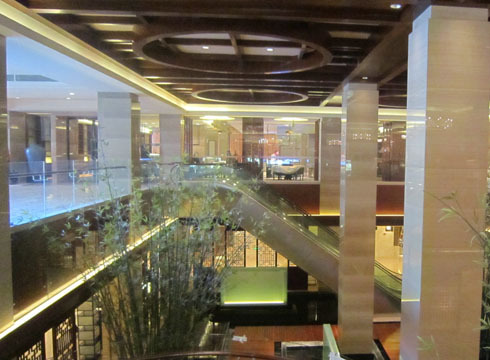 Shenzhen Jianyi Decoration Group Co., Ltd.
Shenzhen Jianyi Decoration Group Co., Ltd. was incorporated in 1994 as a class 1 construction enterprise of national construction decoration and class A design entity, class 1 enterprise of curtain wall construction and class A design entity. The enterprise has construction qualifications for interior and exterior furnishing and decorations, intelligent building, electromechanical equipment, corrosion proofing, insulation and steel structure, etc. Jianyi Decoration Group was previously a state-owned enterprise and left the state-owned enterprise system upon approval of Shenzhen Municipal People’s Government State-owned Assets Supervision and Administration Commission in 2006, restructured as a private sector shareholding enterprise. Through development for two decades, the company has grown from a small company of annual production of only 50 million to a large enterprise group with annual production of over 2 billion and 20 regional companies across the country and four wholly-owned bases integrating resources, technologies, construction materials and industrial parks. As a leader enterprise in China’s construction and decoration industry, Jianyi Decoration Group has for consecutively 10 years been ranked in the top 100 decoration enterprises of China, top 10 among the top 100 in the past four years, and for consecutively six years ranked as top 500 enterprises of Guangdong Province, excellent enterprises of Guangdong Province, patented innovation enterprises of Guangdong Province, top 100 enterprises of Shenzhen and well-known brand enterprises of Shenzhen, etc. Jianyi Decoration Group is a vice chair entity of China Building Decoration Association, vice chair entity of Guangdong Construction Industry Association, vice chair entity of Guangdong Council for the Development Promotion of Small and Medium Enterprises, standing vice chair entity of Guangdong Hakka Chamber of Commerce, standing council member entity of Guangdong Provincial Enterprises Confederation and Entrepreneur Association, vice chair entity of Shenzhen Enterprise Confederation and Entrepreneur Association, vice chair entity of Shenzhen Decoration Industry Association, vice chair entity of Federation of Shenzhen Industries and vice president entity of Shenzhen Futian District General Chamber of Commerce. Jianyi Decoration Group has consistently upheld the corporate mission of “virtues as priority, integrity as foundation and building premium products” and followed the strategy of allying with the strong big brands. 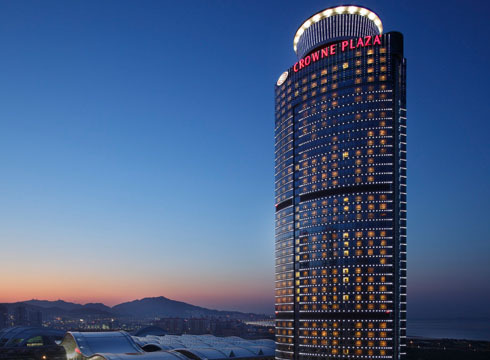 It has developed a large number of international and domestic five-star standard hotels, clubs, halls and venues and other premium buildings in provinces and cities across the country including the Great Hall of the People in Beijing, Shenzhen Civic Center, Shenzhen Sports Center, Wuhan East Lake Conference Center, Huai’an International Conference and Exhibition Center, Yinchuan Museum, Yinchuan Rock Painting Museum, Tianjin Grand Hyatt Hotel, Shenyang Grand Hyatt Hotel, Crowne Plaza Xi’an, Dalian Ocean Intercontinental Hotel, Wuxi Intercontinental Hotel, Nantong Intercontinental Hotel, Wuhan Puyu Hotel, Kempinski Hotel in Sanya of Hainan and other famous brand projects. 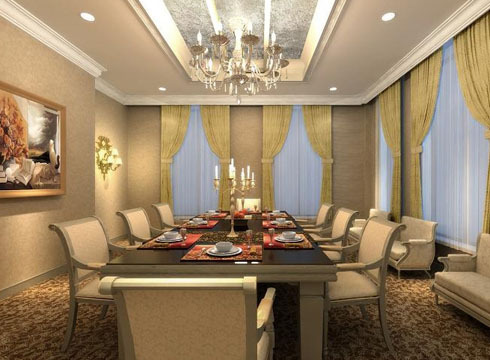 The general competence and brand value of Jianyi Decoration Group have been enhanced at a fast pace and the enterprise has been rated AAA in the financial services sector and an enterprise of AAAA credit in industry reputation. 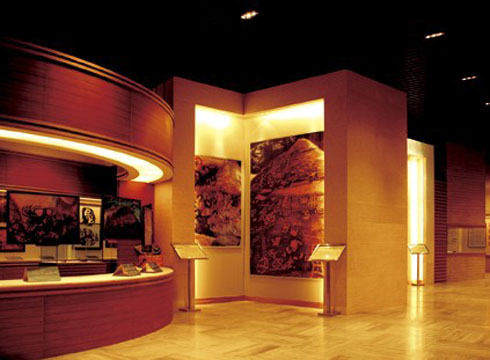 On March 11, 2016, Shenzhen Jianyi Decoration Group Co., Ltd. (stock abbreviation: Jianyi Group, stock code: 002789) was officially listed at Shenzhen Stock Exchange, making the formal step of Jianyi Decoration Group into the capital market as well as a brand new chapter in the development history of Jianyi Decoration Group. Centering round the core value of “enhancing values and building wonderful world” and under the strategy of closely following the state’s “One Belt One Road” initiative under the new paradigm, Jianyi Group plans to develop the company into a group enterprise of overall strength to the strategic goals of “decorations design + resource entities + financial capital + Internet”. Copyright © 2012 www.cbda.cn All Rights Reserved.